The Law office of C. Robert Biondino, Jr is a full-service criminal defense and DUI attorney Denver, CO providing the highest caliber representation. I fight to protect your driver license and to keep your records clean. My focus is to provide experienced and aggressive criminal defense representation throughout the Denver metropolitan area. I know that each criminal case requires a unique approach that begins with establishing a trusting and informed relationship with my clients. 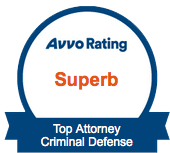 I am dedicated to offering you the highest level of criminal defense representation in Denver and will vigorously pursue every available legal defense available and ensure that your case will be a priority.